Level 1 – the responsibilities of the post may require the post holder to have regular contact with or access to children or young people. ALHR Assistant is a member of the administration team accountable for ensuring quality, efficient and proactive support services for staff and visitors in the Zanzibar field office. Greet all visitors to the office and deal with their requirements. Maintain and operate quality and efficient communication services through phone management and message taking, and arrange appointments as required. Make travel bookings which include flight and hotel bookings for SC staff and visitors followed SC policies and procedures and ensure that the Travel Planner is updated daily. Manage the reception area, ensure portrays a professional image of SC and that it is tidy and organised. Deal with incoming and outgoing mail, arrange couriers, DHL etc. as necessary and forward urgent mails to the Line Manager, and complete incoming register book for all mails. Keep copies of all incoming/outgoing mail and faxes into the file for retrieval purposes. Comply with all SC policies and procedures with respect to child protection, health and safety, security, equal opportunities and other relevant policies. Support Managers in preparation of JDs, RPs, and arrange interviews, support PMR process, support ER/ CAM project. Maintain a database of each staff’s file. Working with managers and staff ensure that our expenditure is clearly accounted for and value for money achieved. Ensure that our admin processes are followed and clearly communicated to staff, partners and communities, highlighting transparency, fair competition and value for money. Values diversity and different people’s perspectives, able to work cross-culturally. A person with positive attitude. Required Master's Degree social work/social sciences or equivalent. Minimum of five (5) years relevant international work experience in child protection programmes. Previous experience of managing a child protection programme in a complex emergency/refugee context. Demonstrable experience of using current quality standards and guidelines for child protection programmes. Strong planning and organisational skills to meet programme goals. Experience of managing the programme cycle, including assessments, proposal and report writing, Monitoring and evaluation. Solid knowledge base and practical experience in community based child protection approaches, case management and child participation methodologies. Strong experience and skills in management of staff from different backgrounds. Strong self-starter, able to set up and manage child protection programmes. Experience in working in an insecure and politically sensitive environment. 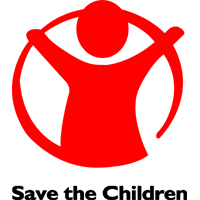 Commitment to Save the Children's Child Protection Policy. Strong computer skills, including the use of email and the internet. Fluency in written and spoken English and Kiswahili. Understanding of Eastern Africa and the Great lakes and the dynamics of the conflicts in the region. Experience of rolling out Child Protection Policies within organisational structures.